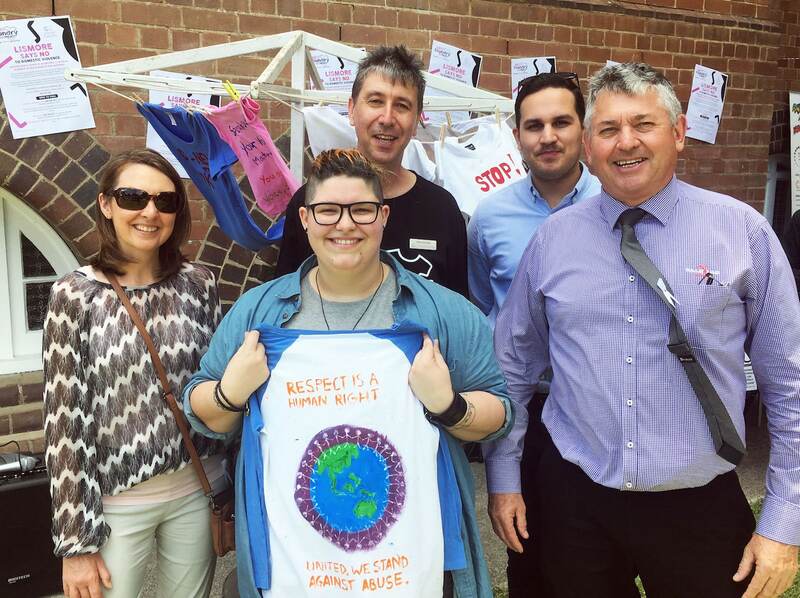 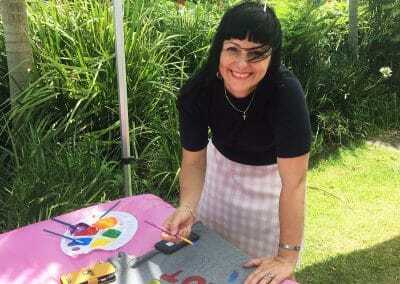 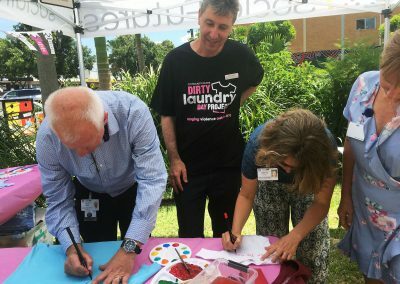 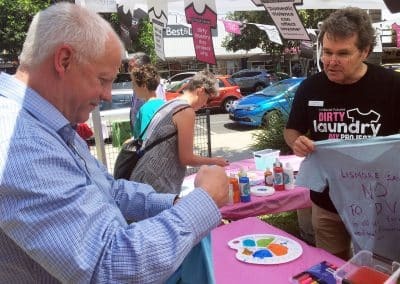 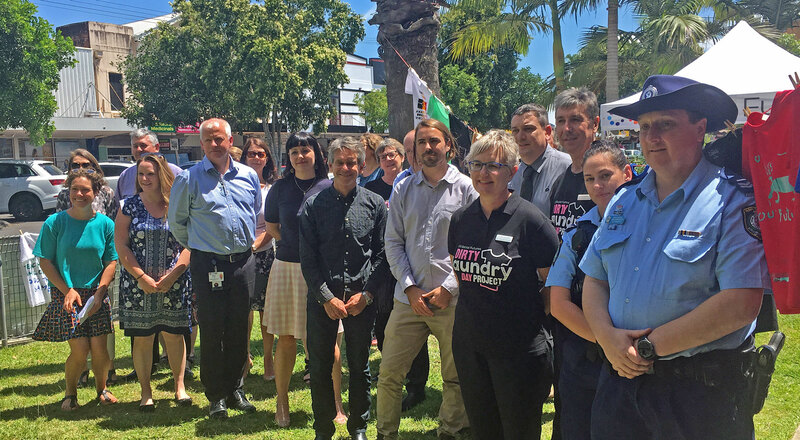 On Wednesday 21 November 2018 Social Futures staff and stakeholders from NSW Health, NSW Police, Summerland Credit Union, Mission Australia and other community organisations, VIPs and business people attended the launch of the 2018 Dirty Laundry Day Project, outside the Computer Clubhouse in Keen Street, LISMORE. 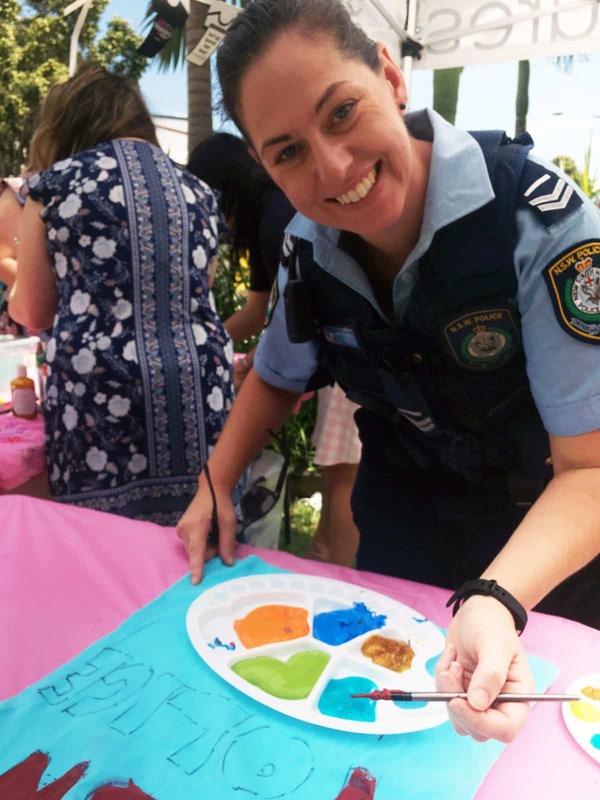 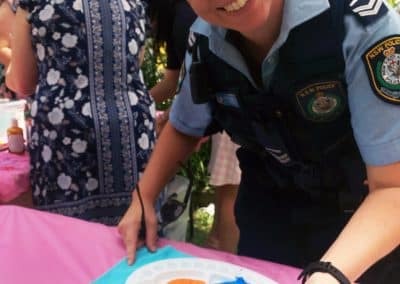 The day marked the ninth year of the project, which aims to shine a light on domestic and family violence, something that’s all too common in our communities, but not talked about often enough. 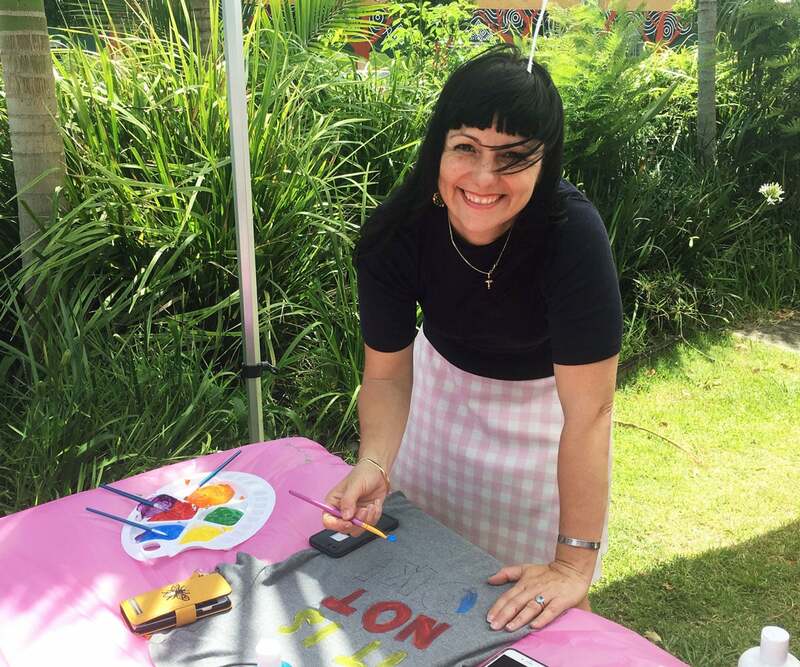 Once again, businesses in Lismore, Kyogle and Casino are devoting space in their shop windows to hang posters and t-shirts, bearing messages from people in our communities that have experienced domestic and family violence. The campaign coincides with the UN initiative: 16 Days of Activism Against Gender Based Violence. 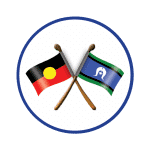 The displays will be up until the 11 December and everyone is welcome to start a conversation and to know there is help available. 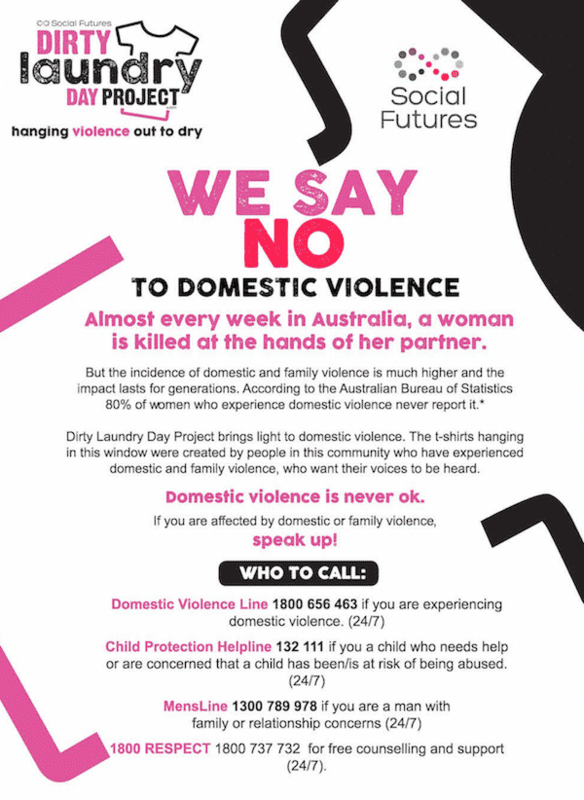 It’s never too late to say NO to domestic and family violence. Read more about the project or register your interest to get involved next year by clicking this link.